R.I.B. boat safari in Bodø. 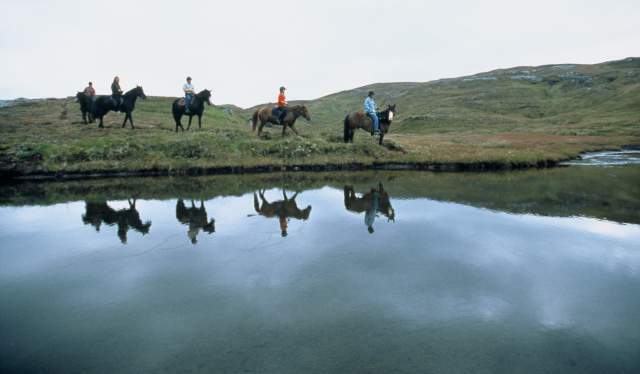 Close to Bodø, you can visit the extraordinary natural phenomenon of Salstraumen. Four times a day, 350 million cubic metres of water pushes its way through the narrow and long strait, forming whirlpools that can be up to ten metres wide and five metres deep. The best way to experience Saltstraumen is on a guided RIB boat, which lets you get close enough to feel the force of the current whilst making sure you stay at a safe distance. Before arriving at Saltstraumen you will visit the realm of the European sea eagle. There are hundreds of sea eagles in the area around Bodø, and as many as 20% of the world's population originates from this area. Return to Bodø by bus. We can double the capacity by splitting the group and combine bus and RIB. Group 1: Arrive to Saltstraumen by RIB, return to Bodø by bus. Group 2: Arrive to Saltstraumen by bus, return to Bodø by RIB. The trip includes a safety briefing and protective clothing(floating suits and life jackets). It is also possible to go sea rafting somewhere else, or to do go on a sea eagle photo safari by RIB boat. 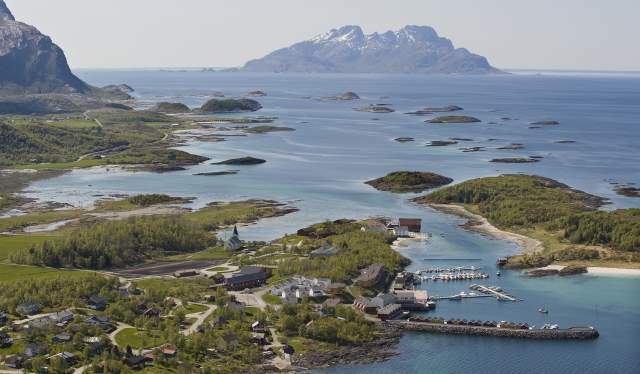 Visit the island of Kjerringøy, the old trading post that used to be the wealthiest area in Northern Norway. Today, it is know for its beautiful and diverse countryside and open air museum. Transport by bus or boat, depending on season. By bus you get a picturesque drive along coastal alpine landscapes, then board a ferry for a short crossing to the island. 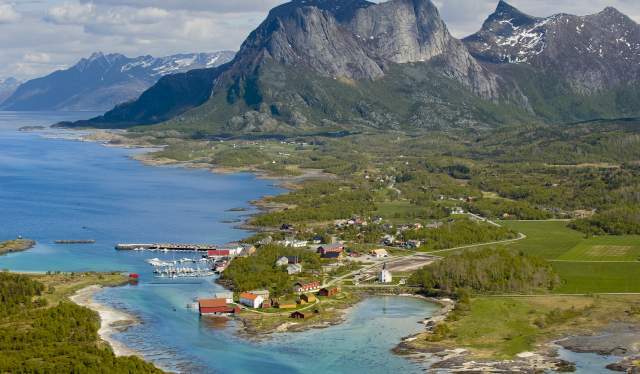 By boat you get to experience the Nordic archipelago and the open sea up close, surrounded by mighty mountains, white beaches and coral green waters. Local guides will show you around the village where time seems to have stopped. Peek into the 15 preserved buildings and learn about the daily lives of the fishermen and smallholders who lived here. During the coastal golden age, the village thrived on fishing, shipping, export and import. There is also an interesting multimedia show that tells the story of the trading post in its heyday. Further activities may include craft demonstrations such as bread baking (and tasting), boat building, or musical and acting performances. It is possible to double the capacity by splitting the group during transport. Group 1: Arrive by boat, return by bus. Group 2: Arrive by bus, return by boat. Capacity: 200 for dining in the same room. Larger groups are divided in several rooms. For an unusual experience in nature, have your business dinner, party, kick-off or any other event in a lavvo, a traditional Sami tent. Complete with bonfires, candles, kerosene lamps and chefs who prepare the food directly on the fire, a great atmosphere is guaranteed. The camp can be set up in different places depending on our wishes. It is a perfect get together for both small and large groups – several tents can be joined together to accommodate up to 1,000 people under one roof. A lavvo camp can be the finishing touch and the perfect end of a successful event. Turn your daydreams into dream days in beautiful nature with historic surroundings. You will head north by boat to the stress-free island of Landegode, with the characteristic Arctic light and salty sea drops in the wind. Here you will wind down at the Landegode Lighthouse, known for their delicious fish soup, fresh shrimps and seafood buffet. 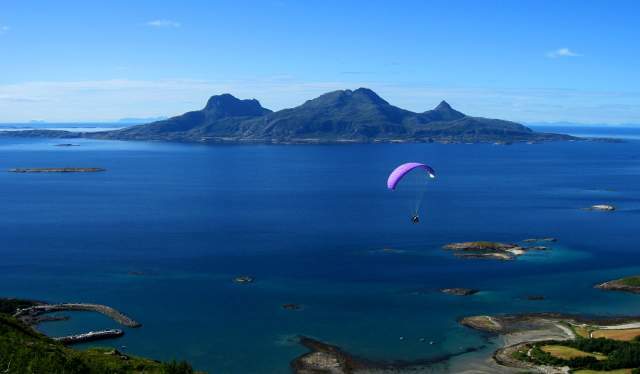 Located just outside of Bodø, Landegode has an atmosphere of maritime flair and gives you a scenic view over the Vestfjord and the Lofoten Islands. High mountains, lush meadows, and sandy and rocky beaches form the framework for your meeting, accompanied by the midnight sun. Choose between a standard passenger speed boat, RIB or a real fishing boat and make the journey more than just a means of transport.